# These are our demo API keys, you can use them! // These are our demo API keys, you can use them! Our Listings Search API is built for developers to build robust applications with Real Estate data in a fast and simple way. Our RESTful API has support for dozens of queries to allow making everything from basic to complex geographical searches easier on you. SimplyRETS pricing works per app or domain. You can connect multiple MLS's to a single plan. Each MLS connection requires one time $199 connection fee. After that you simply pay monthly - no long term contracts, no hidden fees, just the best RETS solution. The perfect property search integration for expanding your online presence. Provides the most value for a site that needs diverse search options. A plan to power large enterprise websites with heavy search demands. Need to power a site with more than 50,000 searches per day? We can handle that. Reach out any time and we can work with you to build a tailor-fitted plan that guarantees a powerful and reliable property search. Any of our plans and products can have multiple RETS feeds hooked up. To keep it simple,you can add additional MLS's for only $25/month on the Basic plan, $50/month on the Premium plan, and $100/month on the Enterprise plan. The Market Analytics API is a tool for agents to gather useful information from MLS data. You run searches from the SimplyRETS dashboard to generate unique data points for any given area or listing. We used SimplyRETS to build a recent client project, and the service they're providing made our lives WAY easier! Anyone who has ever dealt with MLS systems before knows how much work it can be to integrate them. With SimplyRETS you do the work once, and can add new systems super quickly. Their customer support was awesome as well, they always answered our questions quickly and did everything they could to help. SimplyRETS got our site to an MVP much more quickly than dealing directly with our local MLS system. I was able to get the basics sorted out in about four hours - after trying to get the correct libraries installed to speak directly the our IDX feeds for four days! SimplyRETS has been a joy to work with. If you're serious about building real estate apps and tools, they are hands down the best. The team is super friendly and happy to answer any questions regarding their API. The documentation is great and the pricing can't be beat! At Voiceter Pro we have created a conversational real estate search engine using the Amazon Alexa voice platform. We use SimplyRETS to find the housing information we need to give back to our users. For a while, the MLS data was a huge thorn in our side and made it incredibly difficult to get buy in from prospective markets, but after using SimplyRETS data is so easy we hardly even think about it anymore. Their geocoding option is also incredibly important since geocoding can be slow and often comes with a lot of restrictions on how you use the data. SimplyRETS is fast, reliable, and allows us to power the future of real estate consumer interactions! SimplyRETS provided us with access to our MLS data. Their API is clean, well-documented, and RESTful API - a real pleasure to work with. Over the years, we have tried numerous systems to try and pull the listings data and RETS feeds to our site. They software was either too hard to work with or their customer service was low grade. With SimplyRETS, we found that not only did they offer a great product, but since we have been with them, have had top notch customer service. 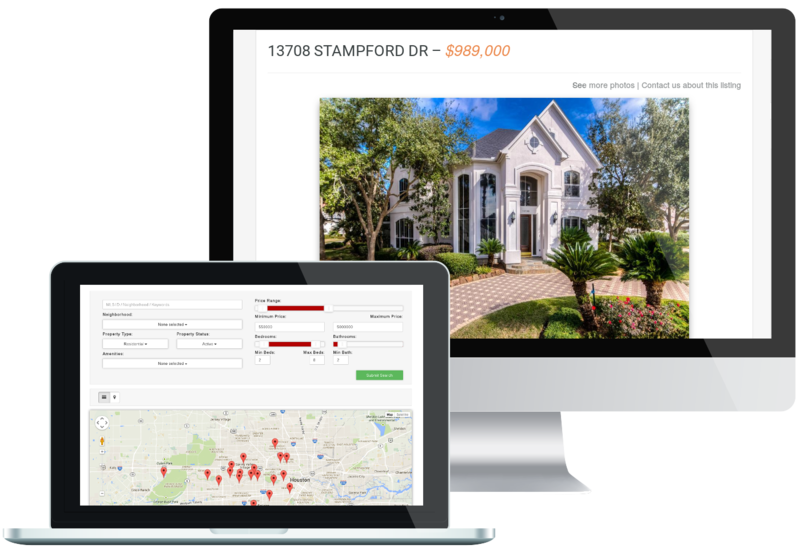 If you are a broker, agent, or programmer looking to implement listings data to your website, this company is for you! I've been very happy with your API. Of all the APIs I'm using, it has been the most reliable and easy to use. Thanks again for allowing me to use your API - it was absolutely what I hoped it would be! Contact us with questions, comments, concerns, or feedback. We're always happy to work with you directly. Form submitted successfully! Thanks for contacting SimplyRETS, we'll be in touch soon. Oh no, something went wrong when submitting the form! Please reload the page and try again.